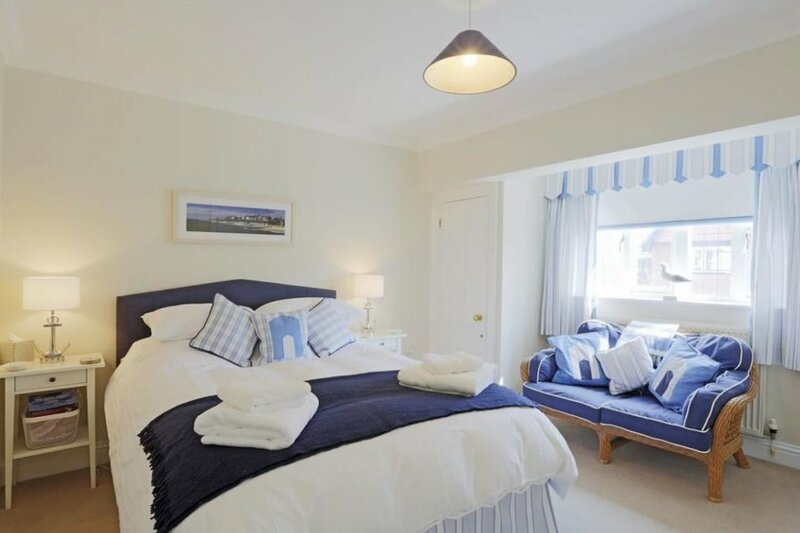 12 Prevetts Way simply has it all - quality accommodation, three bedrooms, three bathrooms, parking and a seaside location! Aldeburgh is a traditional Suffolk seaside town, where fishing boats still pull up onto the beach to sell their catch. There is a wide shingle beach, lovely shops and restaurants and one of the best fish and chip shops in the world. 12 Prevetts Way is set in a quiet location, but still within walking distance of the sea and shops, and offers contemporary furnishings and high class accommodation. Rooms: 3 bedrooms, 1 with en-suite shower room, 1 shower room, 1 bathroom, living room/dining area, kitchen. Beds: 1 king, 3 single beds. Utilities: Electric oven and gas hob, fridge, freezer, washer dryer, dishwasher. Outdoors: Small, private walled garden with patio and garden furniture.